Cannot believe how strong these are. I am avid outdoors-man and use these mostly for tarp tie downs. I bought these and at first, I thought they were too tight to stretch. What I didn’t realize was that these cords are extra heavy duty and secure my tarps much better over the truck bed and in camp than other bungees I have bought. I have bought many different bungees in the past but they do not even compare to this quality! You nailed it! That is exactly how we fell in love with bungee balls in the first place! 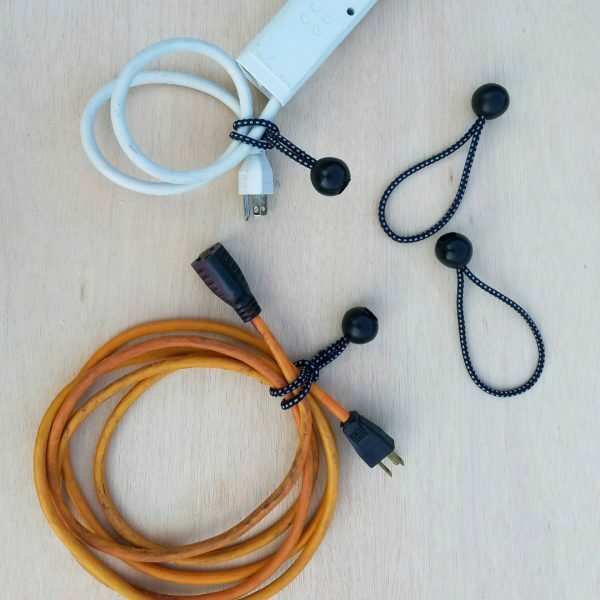 We just wanted to showcase the power of the bungee balls by designing a product specifically designed to harness the power of these incredibly versatile bungee balls! Always good to have a handful of these laying around! I use ’em all the time, and these are the good ones, they are of much higher quality that will outlast and outperform any of the generic bungee balls! My only beef is, how about a variety pack? I could use a few different lengths! Thanks so much for that! 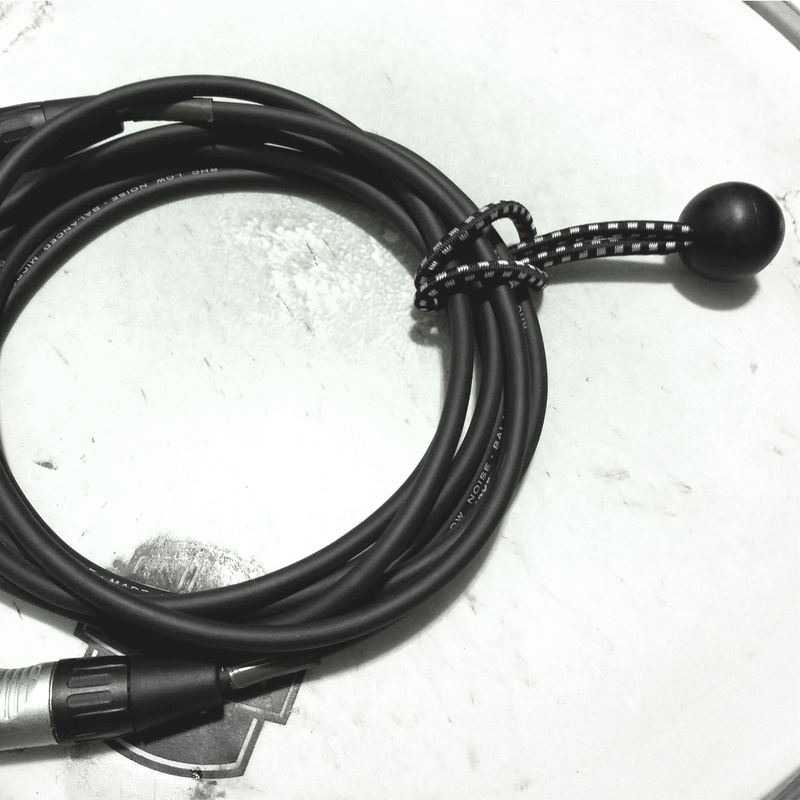 As you know, the Cable Wrangler comes with 12 pre-loaded heavy duty 5″ Bungee Balls. We also offer 7″ as a separate purchase. For clarification, “standard” nomenclature for length of a Bungee Ball includes both the length of the cord PLUS the ball end of the cord. So the 5″ Bungee ball is 4″ cord + 1″ ball. As to the variety pack, that’s a great idea! We will look into this. For now, we recommend a Cable Wrangler AND a bag of our 7″ Bungee balls. This should be more than adequate for most applications! 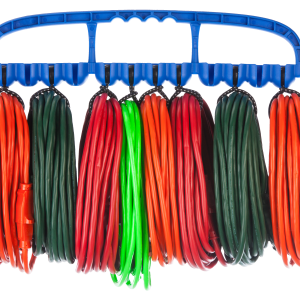 Use with the Cable Wrangler cable management tool for unbeatable, reliable organization. 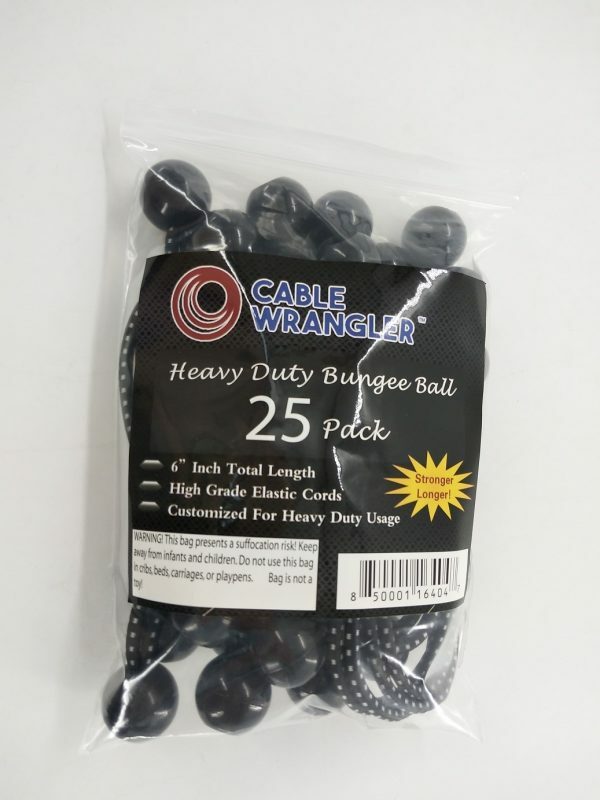 Cable Wrangler Bungee Balls are made from utility-quality materials and are made to last the wear and tear of continuous use. Whether you use them to organize amp cables while on the road, Christmas lights in the garage, or heavy-duty extension cords, you can trust our Bungee Balls will stay secure. Use Bungee Balls by themselves to secure everything from camping gear and tarps, rope, string lights, to bikes on your bike rack. Effortlessly organize cables, ropes, guitar cords, computer cables, and more with our cable management product, and use as an effective and reliable studio and stage cable management system. 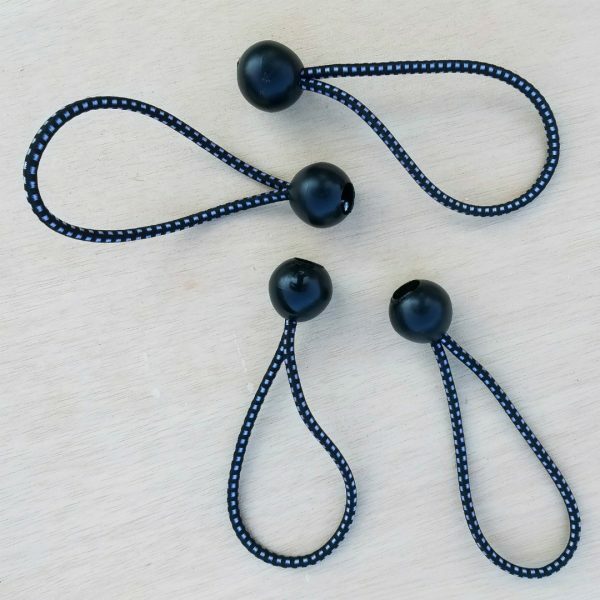 Buy our custom Bungee Balls today! 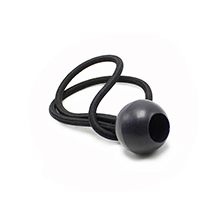 There are a few other companies out there that offer a Bungee Ball equivalent. However, their products are cheaper and not just when it comes to price. Instead of being made from Latex, they are manufactured from rubber that tends to deteriorate quickly in the sun and they are less likely to withstand heavy-duty and continuous use. Also, they are comprised of a single braid and so do not have the holding power of the Cable Wrangler Bungee Ball. Click here to learn more about why our Balls are better!